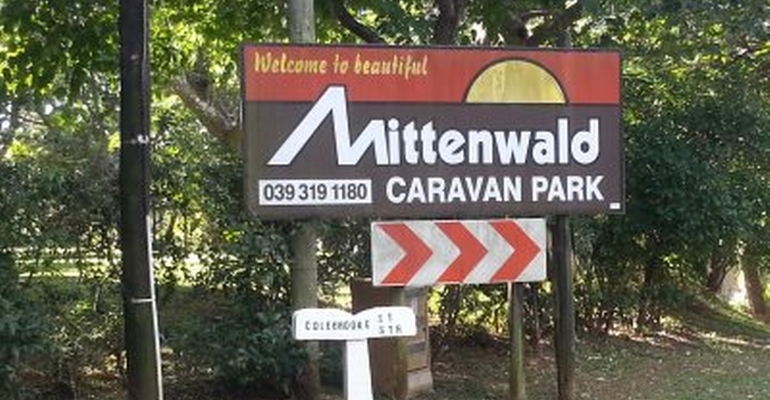 Get back to Nature in the tranquil surrounds of Mittenwald Caravan Park. This lovely grassy caravan park is generously shaded by beautiful indigineous trees in the peaceful coastal village of Munster. The caravan park is located close to the main bathing beach at Glenmore Beach, which has lifeguards and shark nets for your safety, and is a short drive from the Wild Coast Sun with it's Golf Course, Casino and Water Park.